On October 3, 1995, an estimated 150 million people stopped what they were doing to witness the televised verdict of the O.J. Simpson trial. For more than a year, the O.J. saga transfixed the nation and dominated the public imagination. 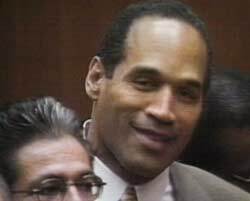 Ten years later, veteran FRONTLINE producer Ofra Bikel revisits the "perfect storm" that was the O.J. Simpson trial. Through extensive interviews with the defense, prosecution and journalists, FRONTLINE explores the verdict -- which, more than any other in recent history, measured the difference between being white and black in America.